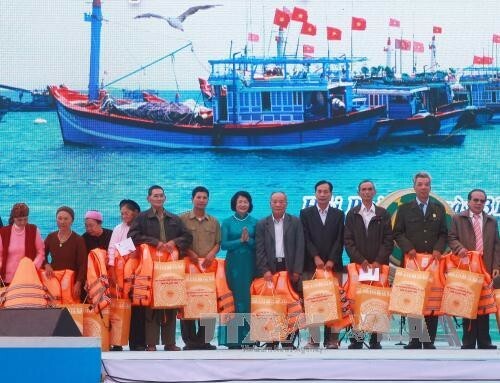 (VOVworld) - The first “head for the open sea” festival was held in the island district of Cat Hai, Hai Phong City on Friday to call on people to join efforts in protecting the marine environment and securing the national sovereignty over sea and its islands. 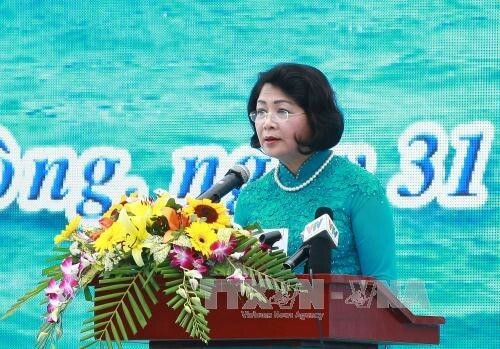 Addressing the ceremony, Vice President Dang Thi Ngoc Thinh underscored the great potential of Vietnam’s sea and islands and praised efforts by in-the-sea forces including fishermen, sea guards, marine police, and armed forces to overcome difficulties to assert the national territorial waters. The festival, the first of its kind in Vietnam, included activities like an incense offering ceremony to memorize those who died at sea, a whale worshipping ceremony, and the release of baby shrimp/ fish into sea.